If memory serves, being forced to sign into Slack for all eternity is one of the circles of Hell in Dante's Inferno. Even if that's a completely fabricated statement (which it is), it drives home the point of how annoying Slack sign-ins can be. Now, it's slightly less terrible on Android thanks to Smart Lock support. Inserting GIFs from your keyboard is one of the latest trends we're seeing in Android apps. And it makes sense: instead of using a separate app to search for GIFs then sharing them to whatever conversation you happen to be having, you simply switch your keyboard to GIF mode and find what you need. Less jumping around and less friction. And with the latest update to the GBoard keyboard app, GIF insertion is no longer limited to Android 7.1 devices, but can be used as far back as Honeycomb if the app you're sending through supports it. One of these apps is Slack. Many of you probably use Slack for team chats at your place of business (we at AP do too). So, you'll be happy to hear there's a nice update rolling out to the Android app today. With v2.12.0, you'll get a better way to keep track of important channels, an in-app browser, and more. 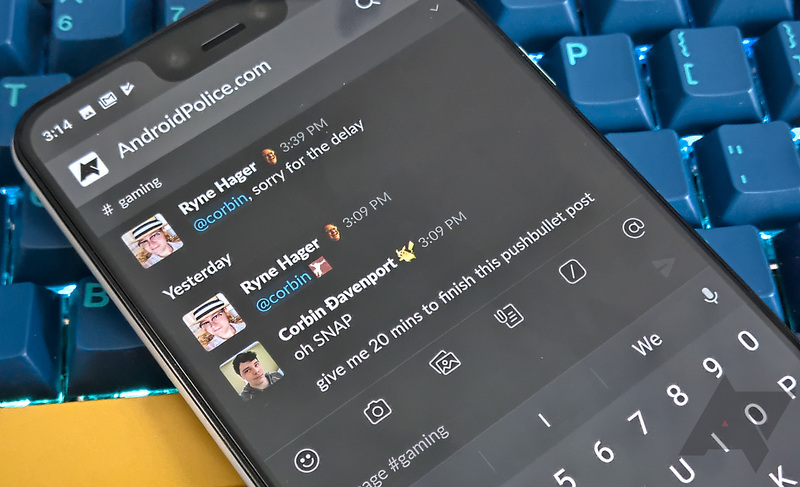 In a post to Slack HQ today, the Slack Android team announced that version 2.0 of the chat service's Android app is coming (graduating from the 1.9.9 beta), and so far it looks much better than the current stable iteration. The increasingly popular team chat platform Slack confirmed in a blog post today that a database containing user profile information had been breached. Slack says the database contained usernames, email addresses, hashed passwords, and information users could connect to their account like Skype names. There's no evidence that the hackers were able to decrypt user passwords, but they did have access to the above-mentioned information. Slack says it has blocked the unauthorized access, and - in the same blog post - announced the launch of a two-factor authentication option for its users, along with a "password kill switch" for team owners. The password kill-switch allows team owners to instantly reset team passwords and end all user sessions for all team members.